Join Christy and I as we discuss my families latest trip to Disneyland. We then discuss Disney Cruise Lines latest sailing release for Spring of 2019. We finish up the show discussing things to do when you sail out of the Port of San Diego. 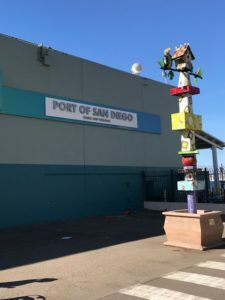 You can click on the link below to learn more about the Port of San Diego. Thank you to all our listeners for coming back and supporting our show.